Savills Chase winner Kemboy is a significant absentee from Sunday's Unibet Irish Gold Cup, for which ten have been declared. Trainer Willie Mullins, who instead relies on Al Boum Photo and Bellshill, said of Kemboy: "He won't run again until the Cheltenham Gold Cup." Road To Respect, an unlucky-in-running third in the Savills Chase, is the general 9-4 favourite. Ruby Walsh takes the ride on Bellshill, who finished one place behind the Irish Gold Cup market leader in December. The first of four Grade 1s on the eight-race card is the Spring Juvenile Hurdle (1.15), in which the Joseph O'Brien-trained Sir Erec puts his Triumph Hurdle claims on the line. 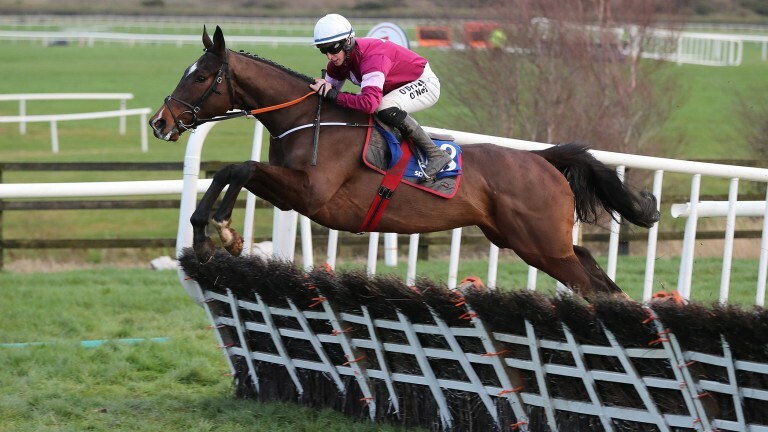 The Chanelle Pharma Novice Hurdle (1.50) was won by Samcro last year for Gordon Elliott and Gigginstown House Stud, and the same connections team up this time around with Vision D'honneur, who was an impressive winner at Punchestown last time out. Klassical Dream, Entoucas and Dancing On My Own finished in front of Vision D'honneur – in that order – at Leopardstown and they all reoppose. 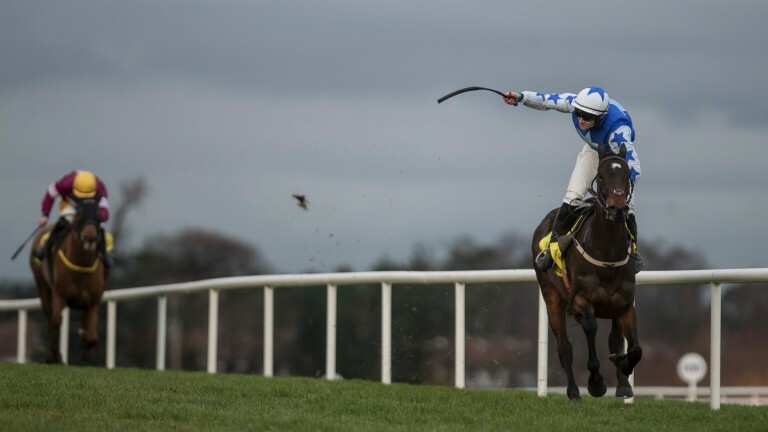 One of the leading British contenders at Leopardstown this weekend is La Bague Au Roi, who tackles Delta Work in a high-class edition of the Flogas Novice Chase (3.00) having registered a hard-fought win at Kempton on Boxing Day. Trainer Warren Greatrex said: "She'd done well over hurdles, but physically she's the finished article now – in the past it's been hard to keep weight on her but that's no longer a problem as she's eating well and looks fantastic. "Her second win at Newbury told us she was going to be very good over fences, and then at Kempton she beat a line-up that wouldn't have been out of place at Cheltenham. "I think she now has a favourite's chance at Leopardstown, where the track will be right up her street."